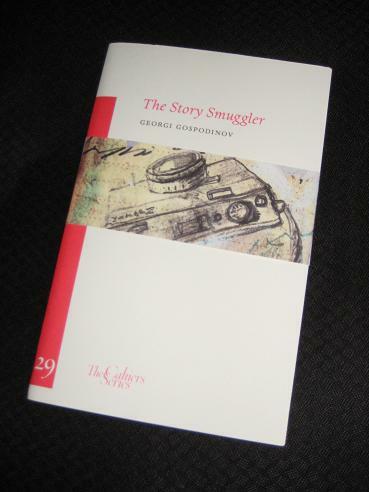 The Story Smuggler (translated by Kristina Kovacheva and Dan Gunn) is Bulgarian writer Georgi Gospodinov’s personal take on youth, writing and the untranslatable concept of Тъга (‘taga’), a sense of melancholy that pervades his native land. Over twenty-five brief chapters, he examines his life and career, allowing the reader a glimpse into young Georgi’s experiences behind the Iron Curtain and showing the influences that helped make him a writer. It is not sadness, nor exactly sorrow, nor is it melancholy. The word cannot be translated into English without the entire Slavic concept behind it. In Тъга there is longing, something unrealised, a dream of what has been lost forever or of what has never been achieved. Тъга does not overwhelm you all at once, it doesn’t topple you like a wave; her waters are placid, her poison is slow, enfeebling. It’s an appropriate emotion for Gospodinov’s home environment. He skilfully sketches out a youth spent in a country where colour was in short supply, the schoolkids’ scrapbook ‘lexikons’ furtive attempts to bring the rainbow into a rather monochrome existence. It’s little wonder that the poet in the boy tends towards the morose, producing a piece dominated by thoughts of the passing of time and death (causing the visiting state-sanctioned poet to angrily berate the child and the teacher for not following the approved themes of sunrise, the mother party and the dove of peace!). It’s hard to explain why I spend so many hours writing. It’s perhaps even harder to explain why I spend those hours writing mere inventions or fabulations, and why it is that, when I do borrow elements from reality, instead of simply describing them exactly as they were or as they happened, I attribute them to non-existent characters and mix them up with or insert them into a wholly-fictitious story, as if I wanted to dilute or infect the actual events with fiction. In truth, though, he delights in mixing fact and fiction, and we’re never quite sure what his main focus is here. 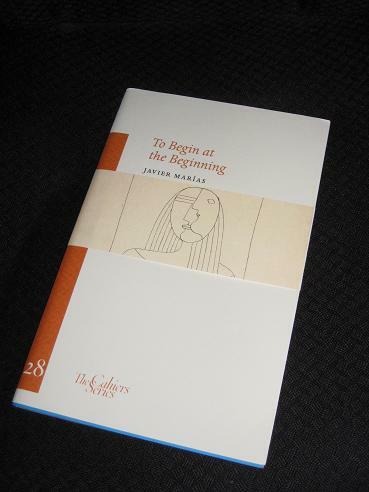 By the end of the Cahier, all we know for sure is that there’s a little bit of Marías in here, a lot of his ancestors and a huge dollop of poetic licence – which is just the way he likes it. My attempt to be a Marias completist temporarily thwarted again and another to add to the TBR pile. Would definitely recommend The Physics of Sorrow (https://www.goodreads.com/review/show/1347020639) – at times it feels a bit overstuffed with ideas but it’s a wonderful read. Winstonsdad – have you read any others of his e.g. Natural Novel and are they of the same high standard. Paul – Funnily enough, most of the ones I have yet to read fall below your final line 😉 For me, though, YFT would be at the top (although a reread of ‘A Heart So White’ might shake that opinion…). YFT is clearly magisterial in ambition and scope, but I think 1 & 2 did much the same thing but in less pages, and benefited from me having read them first so the ideas and style was more originally striking. And Dark Back of Time was a wonderful meta-fictional surprise, and of course underpins YFT. The below the line ones are really for Marias completists (*) only – but then everyone should be a Marias completist. Stu – They’re lovely books, and I’ve been lucky enough to amass a small collection now (still a few on my shelves I haven’t got to yet). The Physics of Sorrow is excellent, I highly recommend it. 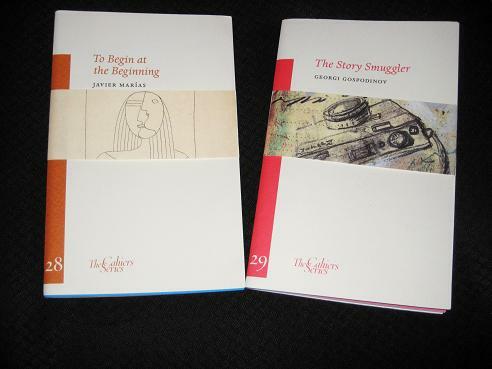 I will also have to read The Story Smuggler, sounds very interesting. Thanks, Tony. The art aspect is very interesting to me! I have these books, still safely packed away. They arrived when I was fighting a serious depression, and I started on the Marías but could not concentrate. I think the first one I will read is the Gospodinov. I’m interested in reading him in short form. I’ve not had luck with The Physics of Sorrow yet, it is magic realism and one can tell from the beginning that it will be, as one of the comments above said, “overstuffed with ideas.” But scenes from the 50 pages that I did get through have stayed with me so I would like to try something else. Joe – And what’s wrong with being overstuffed with ideas (better than having none at all!). I suspect this one will be a little different – it’s amusing in parts, but mostly played with a straight bat (if that very British idiom means anything to you). Re: ‘play with a straight bat’, it’s a cricket term, and we use it to mean something is done seriously and honestly (if you don’t do this in cricket, you’re probably doing something risky…). I keep meaning to read Gospodinov and your post gives me yet another reason. The notion of тъга is indeed something embedded deep in the culture. Earlier this year in advance of the March 20 International Day of Happiness, Eurostat published the findings of its “new multi-dimensional data collection answering the question “How satisfied are people with their lives in the European Union?” It found that “residents in Bulgaria were by far the least satisfied.” Many such surveys about happiness and satisfaction have been done having nothing to do with the EU question and Bulgaria is perhaps singular in its constant position at or near the bottom. Consequently, whether EU membership has anything to do with longstanding Bulgarian “pessimism” is doubtful. Instead I would venture to say that тъга is instead the culprit.